Thus far, the Premiere Boxing Champion (PBC) brand has not lit the world, or even the boxing community, on fire. The company led by Al Haymon has promoted a “FreeBoxing4All” promotion that has not caught on. They have had low attendances to their fights and low ratings to their shows that air almost every day of the week. 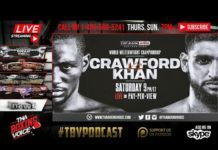 So what can be done to help surge the boxing promotion into the forefront of the eyes of not only boxing fans, but also casual fans? That’s what I’ll be going over today, my plan on what PBC can do to capture the attention of the boxing fans around the world. Now, what or who captures the eyes of the sport of boxing, superstars. How do you create a superstar? You have to have someone prove and separate themselves from the pack. They need to prove they are the best, have star appeal, have the right backing of promotion, and have the resume to back up their stature of being crowned boxing’s new star. The best way to accomplish all of these things for PBC, and create the sport’s next star is to take advantage of their biggest assets. PBC has about 5-6 of the top 10 welterweights in the world, yet they never seem to fight each other. Yes, it looks like Keith Thurman will face Shawn Porter in December, but that’s thinking too small. What needs to be done is the essence of my idea, an eight-man welterweight tournament with the championship fight being placed on reasonably priced PPV. When thinking of who can join this tournament, and in seeding, you have to keep a few factors in mind, such as their age, experience, their “name”, and of course, their skill level. You always want to match up two styles that would complement each other, while also keeping in mind the future state of the finals, wanting to get the two best guys for the crown. 1. Keith Thurman – Has the personality, the fighting style, and the support of most of the boxing community to win it all. The only thing left is to prove it. 2. 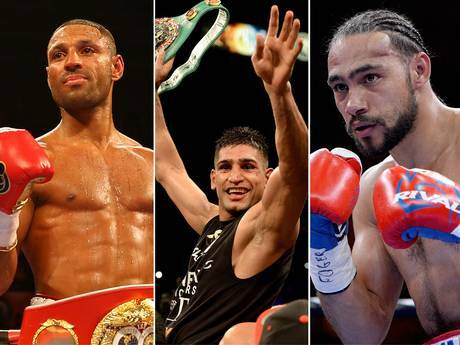 Amir Khan – As much as people like to bash Khan, he has 1 of the best resumes in the division. A win in this tournament shuts up everyone that bashes his mentality, including myself. 3. 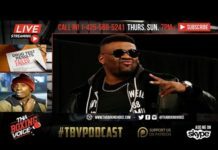 Shawn Porter – This is where it gets tricky because some Danny Garcia fans would make the claim he should be here, but Porter has done more at 147. 4. Danny Garcia – The best 140-pound fighter in the world is now in there with the big boys. A potential 2nd round fight against Thurman would be fireworks. 5. Errol Spence Jr. – If you want to talk potential, this kid may have the most of anyone. The 1st round fight against Danny Garcia will be good for him either as a signature win or as an in-ring teaching lesson. 6. Andre Berto – Will he win this tournament? Likely no. But his fights are normally exciting because of his hit and be hit style. He adds to the excitement of the overall tournament. 7. 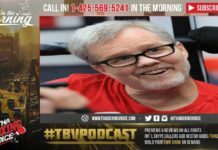 Sammy Vasquez Jr. – Here is another guy who fights with excitement. Between his reckless style and Khan’s weak chin, this would be a nice 1st round matchup for the boxing fans eyes. 8. Aaron Martinez – I originally didn’t have him on this list, but after his win against Alexander, he deserved it. 1st alternate – Robert Guerrero – You always got to have someone on reserve in case of an injury popping up. Although I’m tired of seeing Guerrero in there with top 10 welterweights, he fits perfectly as the last minute fill in. In all, the tournament would cost 20 million with 4 separate, random site, cards for the 1st round, 2 separate, random site, cards for the 2nd round, and the championship fight (as well as the 3rd place fight as an undercard) taking place on PPV to make a large part of the money back up. Adding to the atmosphere, the Championship card could be held at the new boxing arena that is currently being built in Las Vegas. With six fighters under 30 years old and some potential matchups like Garcia/Spence, Khan/Porter, Thurman vs. any of them, this tournament would make a solid profit, create a buzz about PBC, and potentially crown a new star. Will PBC ever consider anything like this? Who knows? But with how it has turned out for PBC so far in year one as a boxing promotion, they are quickly finding out in a punishing way, nothing is free.